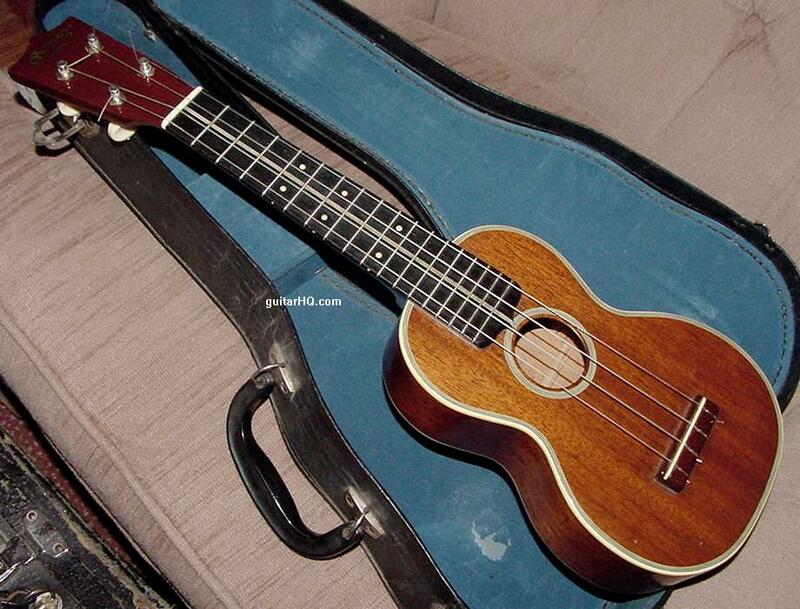 Ukuleles were in highest production from 1916 to the 1930's, though still manufactured in quantity until 1965. Production quantities during some periods were as great as Martin guitars. Martin ukes are considered to be the best for craftsmenship and sound. The Koa wood models are more collectible than mahagony models. The fancier style 5 models are worth more than plainer styles 0 to 3. All sizes are collectible. 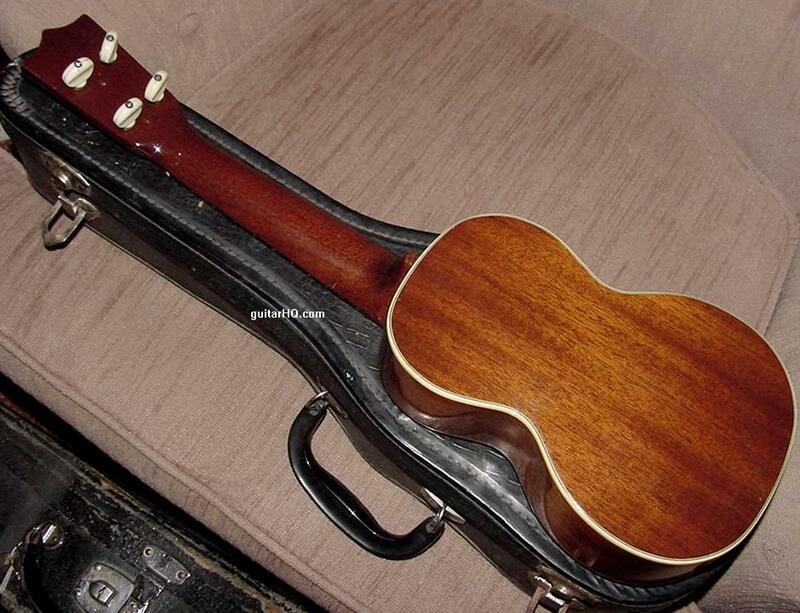 The first Martin ukes, built in 1916, have serial numbers ranging from one to less than 200. 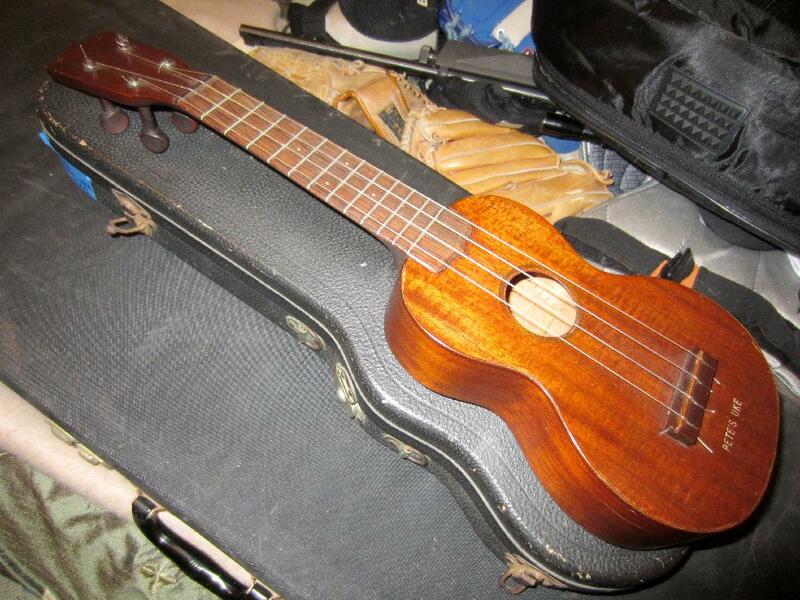 Ukes made after 1916 do not have serial numbers and must be dated by specification changes. For example, in 1962 Martin added "made in usa" to the inside stamp. Ukes have the Martin stamp on the back of the peghead until 1935. Peghead decals do not appear in catalog photos till after WWII. Soprano (std)   21"          9 7/16"    6 3/8"     13 5/8"
Concert         23 1/4"      11"        7 5/8"     14 3/4"
Tenor           26 1/4"      12 1/16"   8 15/16"   17"
Baritone        30 11/16"    14"        10"        20 1/8"
Martin ukuleles produced in greatest numbers in the smallest soprano size, but concert and tenor sizes were available circa 1922. Concert and tenor models were available in all the following styles, with the exception of Style 0, which was produced only as a soprano. Custom order ukuleles, while rare, were available upon request, and may have combined features from various styles. The most basic of Martin ukes. Mahogany body with no body binding and nothing fancy. Discontinued in the 1970s. 12 fret rosewood fingerboard with bar frets. C.F.Martin & Co. on back of headstock. 1970s: discontinued. Recently the S-O (made in Mexico) has been introduced. Introduced in 1918, the first Martin uke model made. Discontinued in 1965. First 200 or so ukes serial numbered, thereafter without. Rosewood outer body binding with inner black/white. Earliest examples with boxwood bridge saddle and nut. 1965: Style 1 last listed and discontinued. Martin style 2 uke model made first in 1918, discontinued in 1965. Triple bound top binding with ivorioid outer binding. Martin style 3 uke model made first in 1918, discontinued in the 1970s. Celluloid ornament on top, behind bridge (known as the "parend"). 17 fret ebony fingerboard extents to the soundhole. Small pearl paired-diamond inlays at fret 5, 7, 9. 3 lines inlaid down center of fingerboard. Nut of 3 ply plastic. Though discontined in 1942, the Style 5 has been reintroduced recently. Ivoroid bound top and back with abalone trim. Abalone pearl and black/white wood around soundhole. Koa peghead veneer with pearl-inlaid flowerpot. 1940: Style 5 mahogony body (same trim as 5K) introduced. 1942: Style 5 mahogony body discontinued. 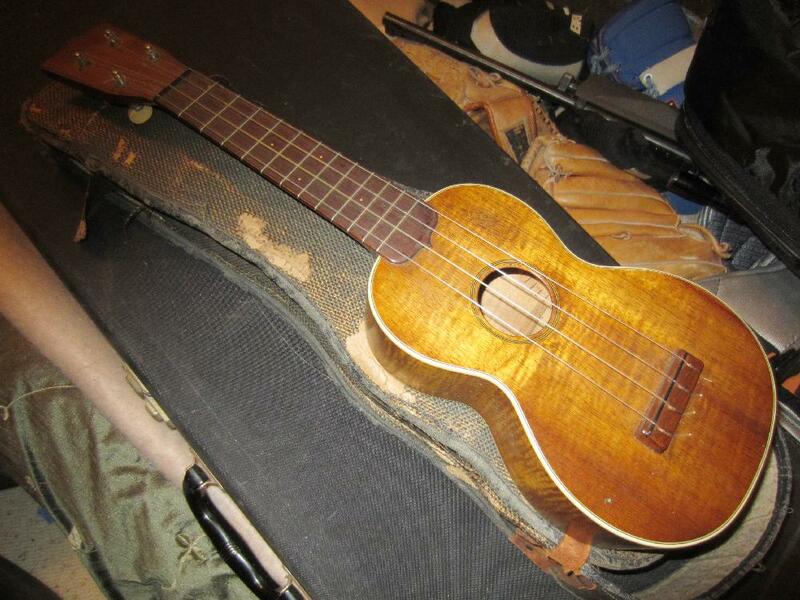 Note: It has been alleged that Martin used Abalone additionally on the SIDES of style 5k ukes during 1926 and 1927. No such uke has yet been seen. 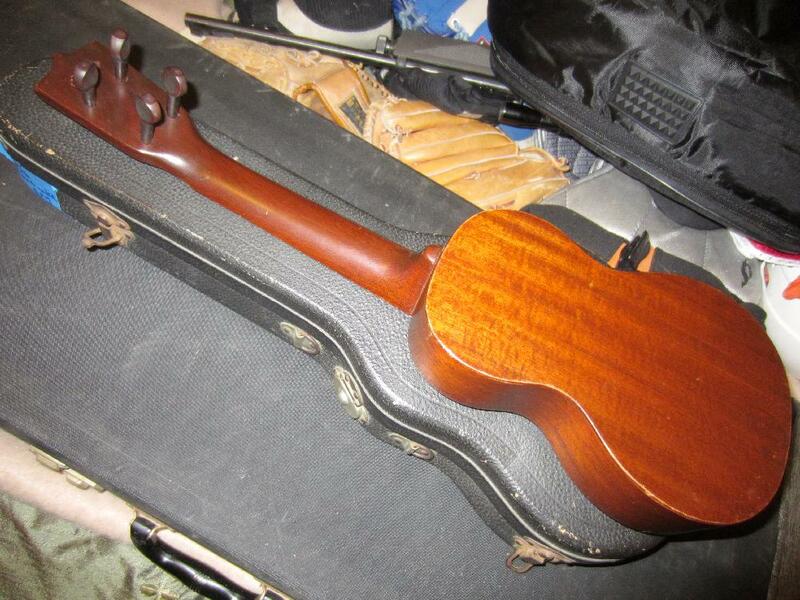 1930s Martin style 0m mahogany Uke. No body binding, nothing fancy. 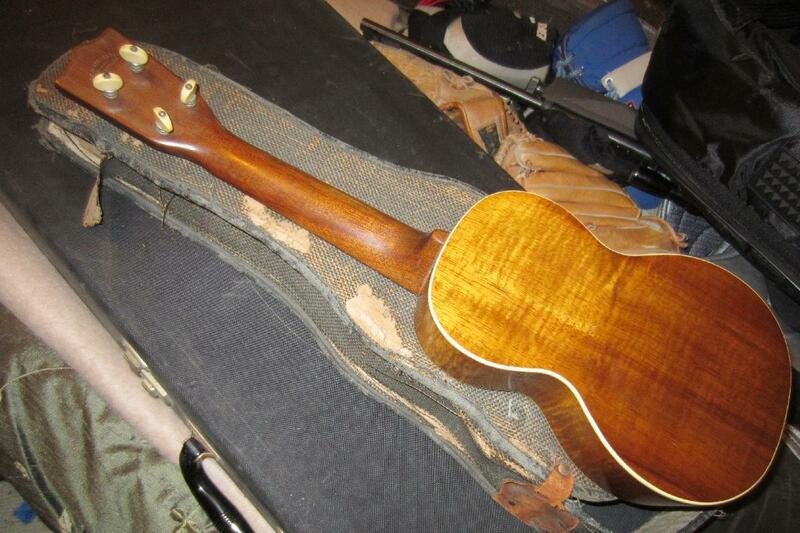 1930s Martin style 1m mahogany Uke. 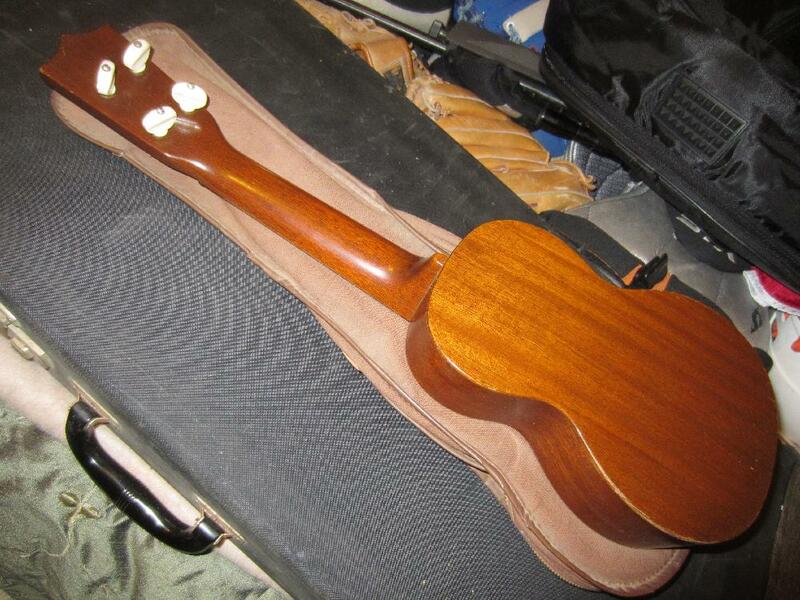 Rosewood plastic top body binding. 1930s Martin style 2k Koa Uke. 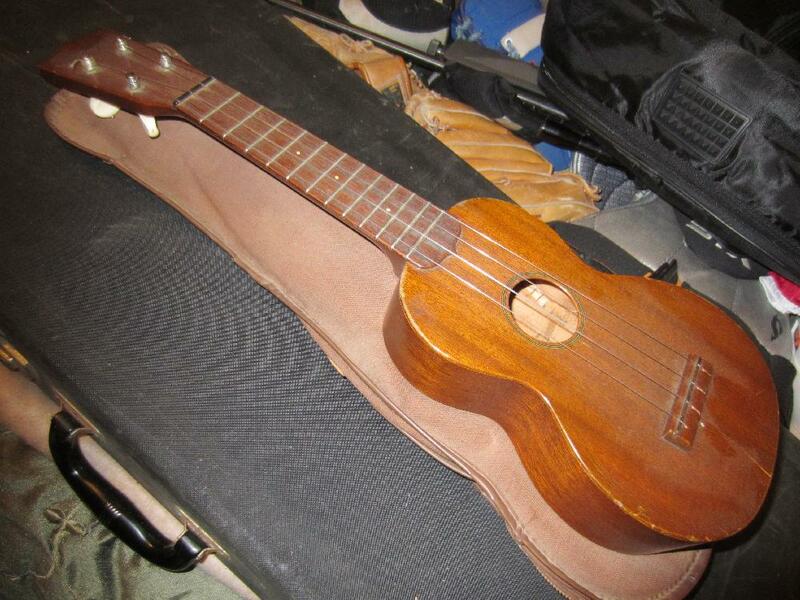 1930s Martin style 3m mahogany Uke.